Dubbed as “Jewel in the Desert,” this structure rises out of the arid plains like a multi-tiered wedding cake. Originally envisioned as a resort hotel back in the 1920s, the four-story mansion’s ornate Italian-inspired architecture and meticulously groomed cactus gardens draw thousands of visitors a year. Do note that all tours are docent-led and often sell out months in advance, so book early. This mountain isn’t just an icon of the Arizona desert, it’s also something of a mystery. There are spots where the 1.5 billion-year-old granite rocks are covered by much younger red sandstone from just 30 million years ago, a puzzle geologists are still cracking. There are many hiking trails to explore and a cave system believed to have been inhabited by Native Americans. Love music? Then this unique museum is a must-see. Its exhibitions walk you through the history of music, from pre-historic to modern times. It also houses instruments used by legendary artists, including John Lennon’s white “Imagine” piano. The museum also has a small theater that regularly holds live shows featuring notable folk, jazz, and rock artists. You read that right! A short hour-and-a-half drive from Phoenix brings you to Cornville, home to some of the finest wineries in the country. Javelina Leap Winery, Page Springs Cellars, and Oak Creek Vineyards are all five minutes away from each other—perfect for a wine-tasting day trip. Some of the fine vintages you can expect to sample include merlot, chardonnay, moscato, zinfandel, and more. There’s a traditional tea garden nestled in the heart of central Phoenix. This hidden gem is called the Ro Ho En, a 3.5-acre haven where you can take in the beauty of bonsai trees, koi fish, and rock gardens. From October to June, the Garden holds authentic tea ceremonies presided over a tea group dressed in beautiful kimonos while serving delicious tea. See the schedule here. There’s no better view than the view from the top, and a hot air balloon ride can help you do just that. Soaring to heights of up to 6,000 feet, a hot air balloon gives you a bird’s eye view of the bustling Phoenix metropolis and the plaintive beauty of the surrounding Sonoran Desert. 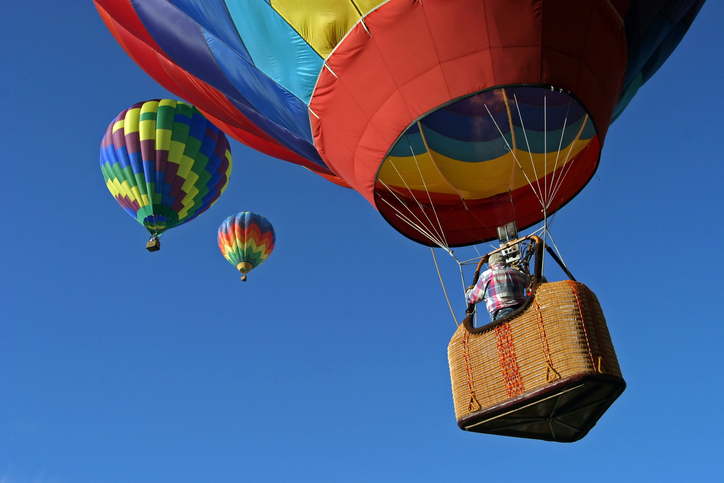 Take your pick from any of the hot air balloon rental companies and see Phoenix like never before. Adrenaline junkies will surely enjoy flying high on a trapeze at I.FLY Trapeze at Phoenician Resort. Instructors will give you an overview of trapeze flying, and before long you’ll be doing stunts in mid-air. This attraction welcomes kids as young as four, making it an ideal activity for families. Of course, we’ve only just scratched the surface of the many wonderful things you can do in Phoenix, Arizona. If you wish to call this vibrant place home, get in touch with Urban Luxe Real Estate at 480.359.6519 or info(at)urbanluxere(dotted)com.